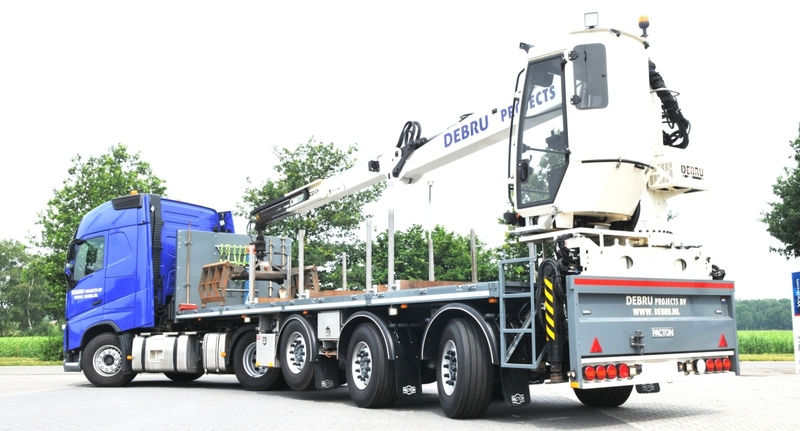 Internationally operating feed company De Heus recently purchased a trailer with a VSE steering system. This enables them to reach companies that were previously inaccessible with regular trailers. De Heus not only want to carry as much feed as possible in one trip, they also want to provide the driver with a tractor-trailer combination that can access hard-to-reach silos so they can be properly replenished. This often involves tight turns around farmyard outbuildings. 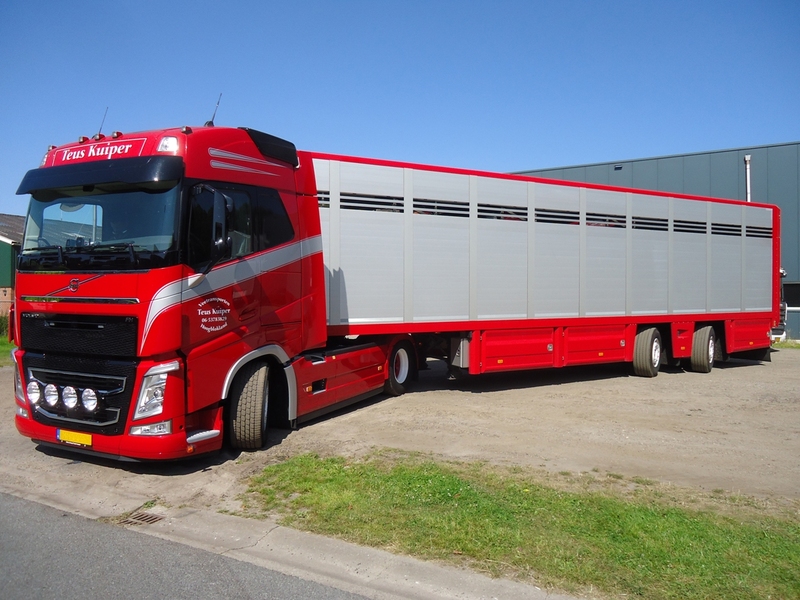 Frans van de Stroet, transport manager at De Heus, was looking for a well-built trailer that was large yet also lightweight. 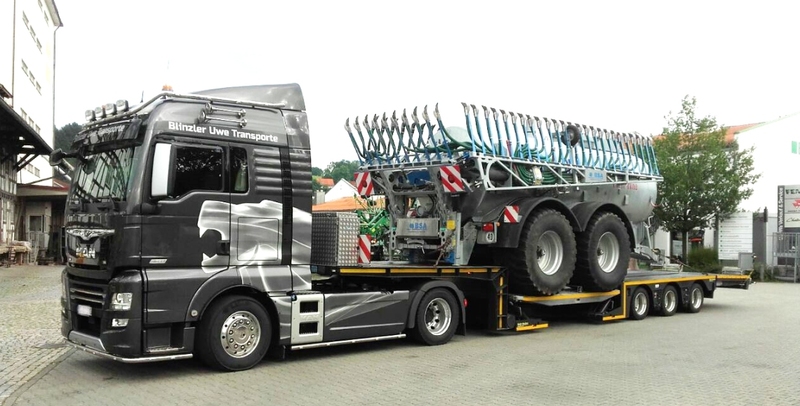 “We decided the best choice was Belgian trailer builder Lambrecht – no small name in this segment.” Lambrecht has been building trailers with VSE steering for the Belgian and French markets for some time now. After an intensive test period in which important issues such as handling characteristics, ease of operation and unloading speed were tested, De Heus soon discovered that the VSE-equipped trailer enabled them to go places they had been unable to reach with smaller bulk trailers. “We made test runs to practically all the tricky delivery addresses, and each time we found we were able to easily reach even the most challenging tight spots with this new trailer,” says Van de Stroet. One of the reasons for the success is that the steering system on De Heus’s Lambrecht trailer is equipped with a manual remote control. This allows the driver to manually change the steering angles of the trailer’s two rear axles. “The intuitive way the remote control works makes operation a piece of cake,” says Van de Stroet.